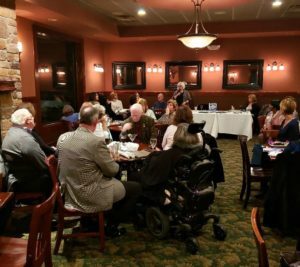 Women 2 Women Michigan – Inspire Women For Good! Get Smart About Your Finances! Many of you have asked for more financial informational events, and here it is! Latisha is one of our W2W supporters and you may remember her from the fashion show at our Expo last fall. She is passionate about educating people (especially women) about finances so they can live their best life and be prepared. As a young adult Latisha had many questions about the financial market which led her to find answers that made sense. She will teach us in easy-to-understand terms just what it all means. If you know that you need more financial planning but have no idea how, make sure that you do not miss this! Gather in the bar if you’d like to continue the fun. Save these dates: May 23, June 27, for the next Pick Your Passion events. 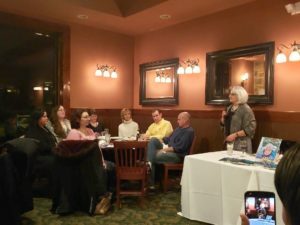 FUN, GIRLFRIENDS, LAUGHTER, FOOD, PRIZES, KNOWLEDGE, NETWORKING! Knowledge is power! 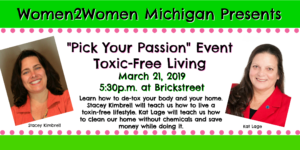 Come learn how to take charge of your health, home, and wellness by detoxing it all! Stacy Kimbrell is the author of the book “Living Balanced”. 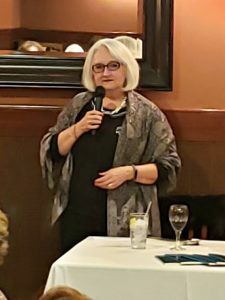 She is an advocate for holistic health, wellness, and chemical awareness, teaching individuals and families how to make educated decisions on their health. Kat Lage can teach you how to improve your quality of life by radically reducing chemicals in your home. She can help you save money by using products that don’t need chemicals to work. Both of these ladies will have items for sale. 5:30 Gather to socialize and network. Dinner and drinks are available for those who want to order off the menu. 8:00-8:30 Dismiss. Gather in the bar if you’d like to continue the fun. you will be aware of our future events. Besides, it’s a fun place to hang out. Go to Women2Women Facebook page now!! 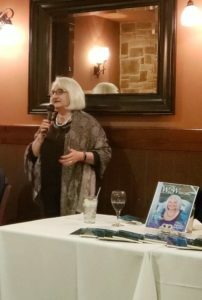 We had a wonderful time at our first 2019 Pick Your Passion event, which was our cover girl, Tonya Ketzler’s book signing. Stay tuned for more information about upcoming Pick Your Passion events. 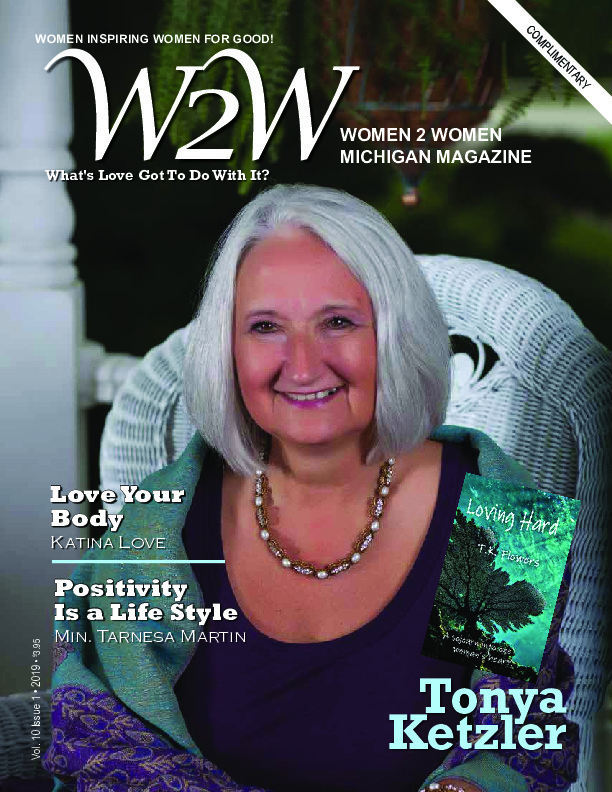 W2W is excited to have this issue’s cover girl, Tonya Ketzler, speak at our first 2019 Pick Your Passion event! She will have her brand-new book of poems, Loving Hard, for purchase and signing. NOTICE: You must register for this FREE event because tickets are limited. Help others. Love big. Keep on moving. Do what is right. Do what you love. 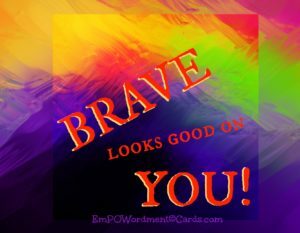 You are amazing and wonderful, and totally braver than you think you are! And we are with you in this journey. PS Our magazines always offer such great wisdom from women of all ages and walks of life. Did you know you can read it online? Yes, click on the latest issue at the top right and flip through the pages. Past issues are listed under the “magazine” link at the top. AND you can subscribe to receive your own copy in the mail by going to “shop”. Also, “like” our Facebook page to stay current. We have some great things planned for you! 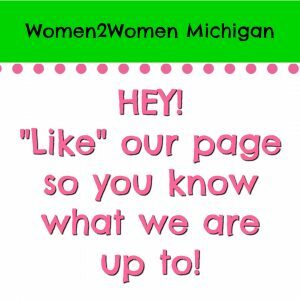 Subscribe to our newsletter to receive regular updates on happenings at Women2Women Michigan!